This Brooklyn Bedding Signature Mattress Review was completed by the MattressJunkie.com team recently. Brooklyn Bedding sent over the newly upgraded #BESTMATTRESSEVER Signature Mattress in queen for us to put through the review process. The retail price for this mattress is $949 . Brooklyn Bedding is a family owned business opened by two brothers in 1995. They are located in Phoenix, AZ. The #BESTMATTRESSEVER has been Brooklyn Bedding’s top selling mattress online and in stores since its inception. The #BESTMATTRESSEVER was also one of our all time favorite mattresses that we have reviewed. Literally everyone that has slept on it in the sleep lab loved it. Read on to find out what we thought of the newly upgraded hybrid #BestMattressEver Signature Mattress. What’s the Brooklyn Bedding Signature Mattress Cover Made Of? 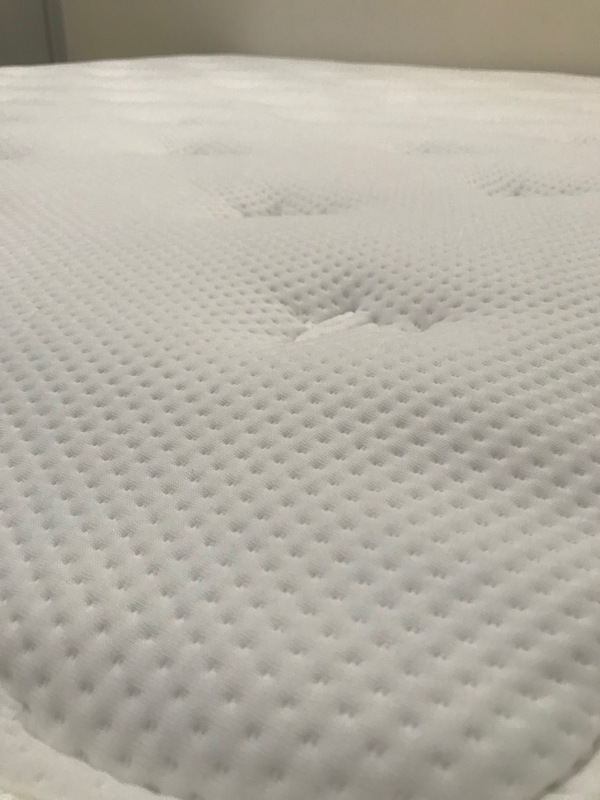 The Brooklyn Bedding Signature Mattress Review cover is a quilted polyester blend that has ¾ of an inch thick poly foam sown in so you get a “pillow top” feel. The cover is ultra-breathable and sleeps cool all night long. What’s Under the Brooklyn Bedding Signature Mattress cover? 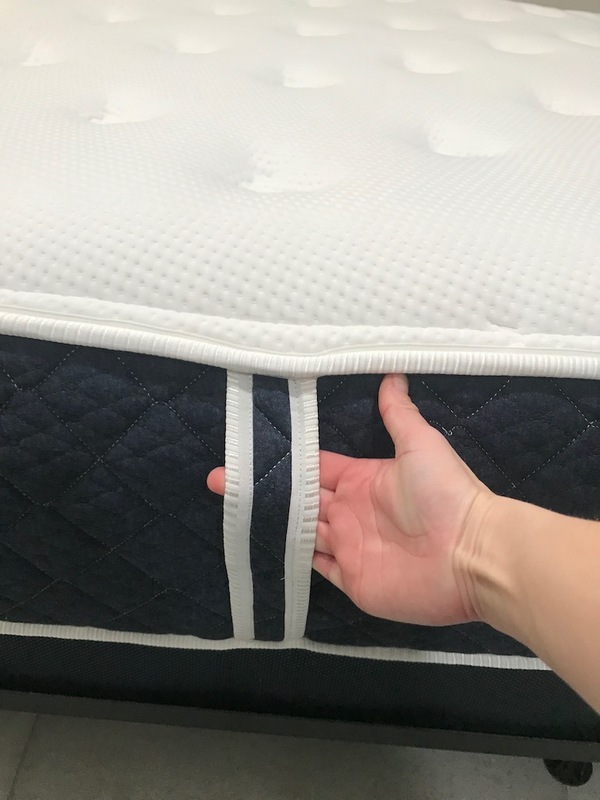 The Brooklyn Bedding Signature Mattress has 3 layers. The first layer is made up of 2 inches of hyper elastic foam called TitanFlex Foam. TitanFlex Foam is a responsive poly foam designed to resemble the feel of latex. TitanFlex Foam is produced with open cell material including thermal titanium beds. Titanium Gel is infused into the foam to alleviate heat before it gets trapped in the mattress. Titanium Gel also adds to the overall durability of the mattress and also adds a layer of anti-bacteria protection. The 2nd layer is 2 inches of TitanFlex Support Foam. This high density foam serves as the transition layer that contours to the sleeper’s body providing optimal support throughout the night regardless of the weight. The 3rd layer comprised of 6 inch ascension pocketed coils for exceptional reactivity to movement and motion. The individually pocketed coils also provide structural support throughout the lifetime of the mattress. What’s the firmness level of the Brooklyn Bedding Signature Mattress? The Brooklyn Bedding Signature Mattress comes in 3 levels of firmness. Soft, which works best for side sleepers that want an extremely soft sleep surface. 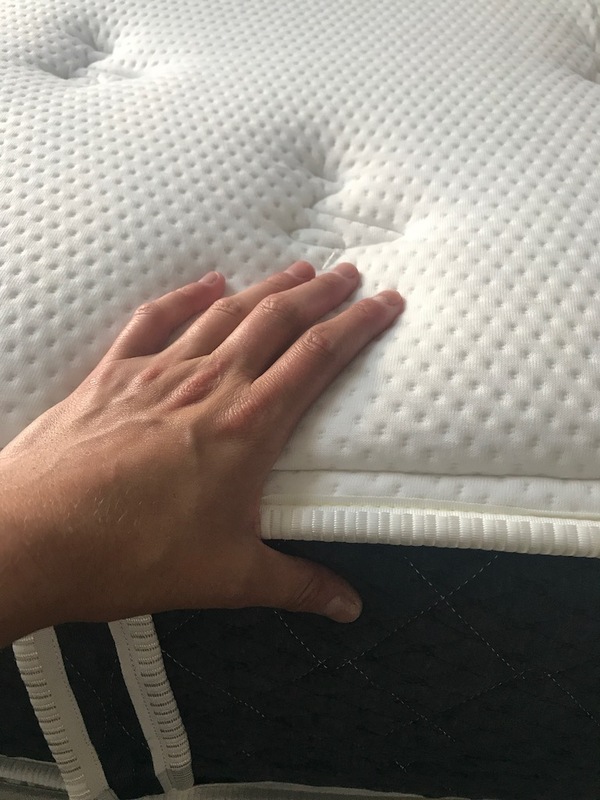 Medium which I recommend getting because its extremely comfortable for side and back sleepers and will work for the majority of sleepers and firm which works best for back and stomach sleepers that want a firm sleep surface. Do I evER Need to flip my Brooklyn Bedding Signature Mattress? No, Brooklyn Bedding recommends rotating 180 degrees but never flipping. 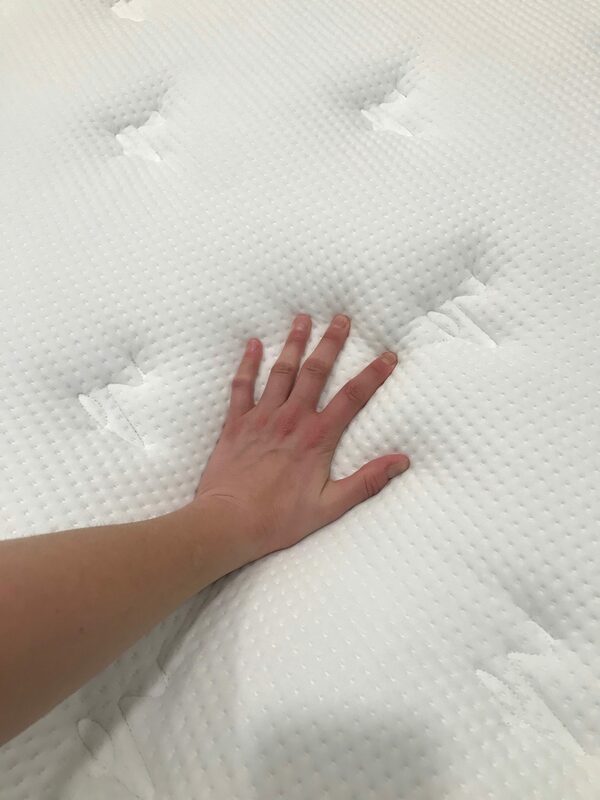 The mattress has support layers on bottom and comfort layers on top so the bottom was not designed to be a sleep surface. How is the Edge Support on the Brooklyn Bedding Signature Mattress? Edge support is better than the majority of mattresses that we have reviewed. What type of base should I place my Brooklyn Bedding Signature Mattress? As you can see from the photos, we reviewed the mattress on a platform bed. Brooklyn Bedding recommends sleeping any firm, flat surface such as a box spring, platform bed, or floor. Most mattresses have an odor to them when you unroll and remove the vacuum sealed plastic. This chemical type smell is called off-gassing. Off gassing is not harmful nor toxic in any way. As your mattress breathes, the off-gassing smell will fade. Brooklyn Bedding Signature Mattress had little to no off gassing smell to it out of the box. What Type of Sleep trial and Warranty Does Brooklyn Bedding Offer? Brooklyn Bedding has a 120 night money back guaranteed sleep trial that you can take advantage of to ensure you are completely happy with your new mattress. Brooklyn Bedding also has a 10 year warranty on manufacturer defects. Is My Brooklyn Bedding Signature Mattress Made of Safe Materials? 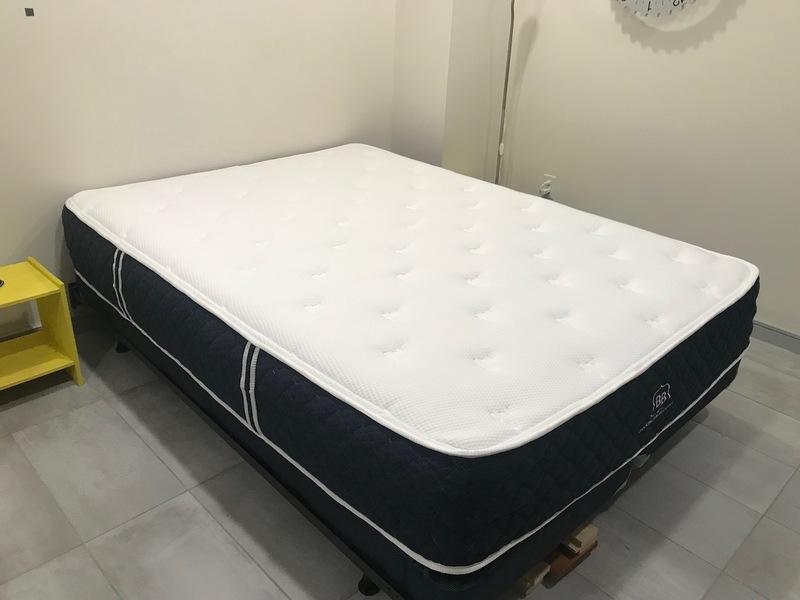 Brooklyn Bedding Signature Mattress Review is made from high quality materials that are Certipur-US Certified so you and the environment are safe from any harmful toxins. Do we recommend the Brooklyn Bedding Signature Mattress? 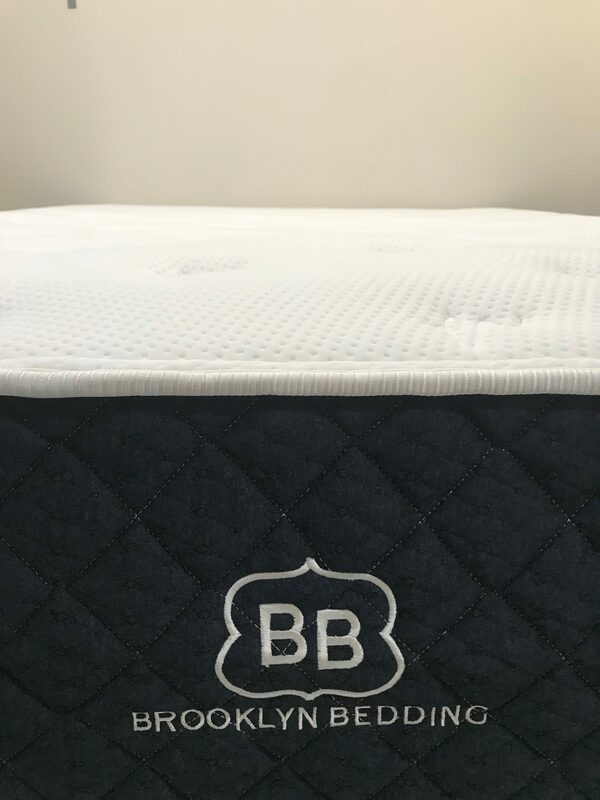 The Brooklyn Bedding Signature Mattress is one of the most popular mattresses that we have had in our sleep lab. Literally every person that has slept on it has either bought it or plans to buy it. My brother in law was recently here for 4 days and went from sleeping 4.5 hours per night on average to sleeping 8.5 hours per night on average while sleeping on the Brooklyn Bedding Signature Mattress. He bought one before he left my house. The mattress will transform your sleep experience if you are looking to upgrade your sleep. Also, Brooklyn Bedding will throw in a set of pillows and sheets with any mattress order. Save $150 dollars with code Signature150 when you place your order.